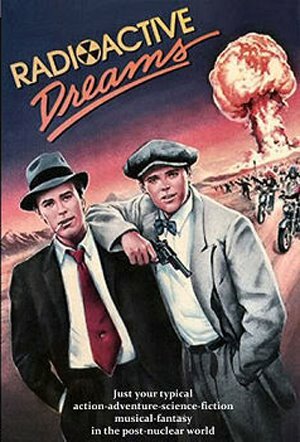 Radioactive Dreams is a post-apocalyptic sci-fi vision written if one were stuck in the 1980's that is part comedy and part musical. It centers around two characters who had been locked up in a bomb shelter for almost 15 years. With limited education, they climb out into a world gone wrong. A world gone wrong if we were still stuck in the 80's. Faced with Dizzy Dames and Disco Mutants, they go in search of their father, who had abandoned them for some strange reason. Somehow they get caught smack dab in the middle of who owns the key that will control Earth.